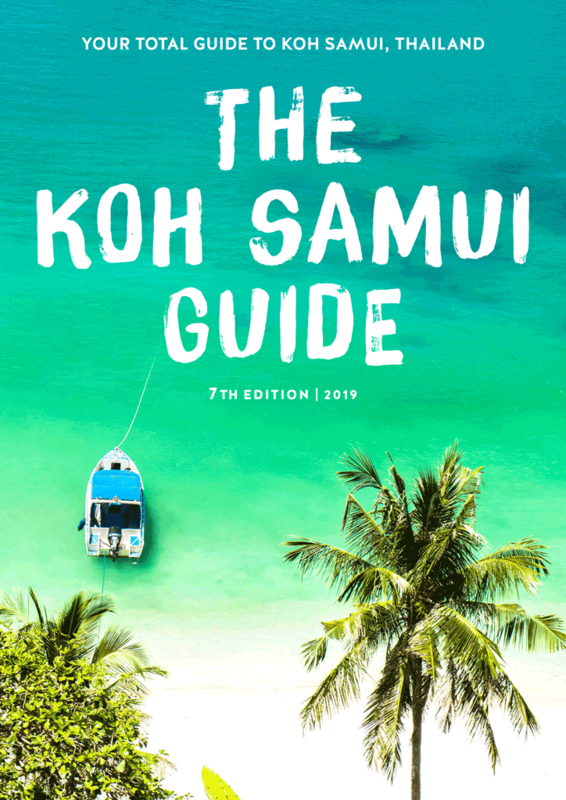 The Koh Samui Guide review: "Thanks for creating such a fabulous guide book"
I just wanted to send an email to say thanks for creating such a fabulous guide book. I downloaded it to my Kindle and loved every page. My only wish was that it was longer, as I felt rather sad when I’d finished it! Anyway, thanks for all the wonderful info. Awesome guide book. We’re looking forward to putting it to good use in July. Any chance you’re going to write a few pages in the future about arriving in Bangkok as a farang? Or a few days in Bangkok as a stop-over before arriving in Koh Samui? The writing style you both have is so refreshing and unique! You can imagine it made our day week month. We thanked her profusely (stopping just short of offering to clean her gutters) and will plan to add a few Bangkok notes and tips to a future reader update. 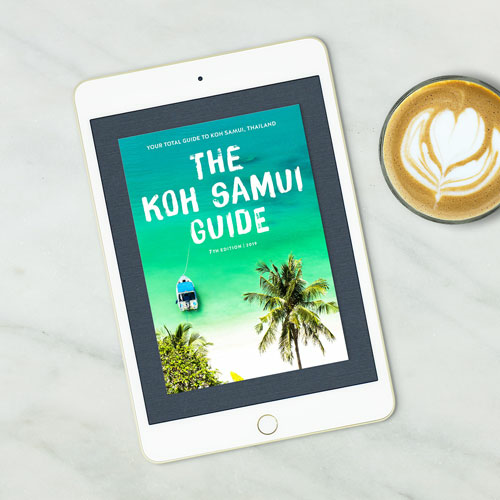 (The seventh edition does cover tips for an overnight stay at Bangkok Suvarnabhumi, visiting our favourite Bangkok attraction – the Jim Thompson House – plus tips for flying Bangkok Airways and transferring through BKK). It doesn't take much to make us happy but our Tor-euphoria (um, eu-tor-ia) will be lasting for some time. Back to dancing…. 7th edition available now – totally updated for 2019! Your total travel guidebook for Koh Samui, Thailand in a convenient PDF ebook – it downloads instantly. In 2012, Alex and her brother wrote The Koh Samui Guide they wished they’d had on their first few visits to Thailand. To their (tremendous) surprise, the guide became “a thing” … and it’s been an ongoing labour of love ever since.